Robert Parker recently announced a change in his team, with potentially a major impact on how the Wine Advocate will assess German wine. US-based David Schildknecht leaves the team and Germany-based Stephan Reinhardt joins the team. I have the highest professional respect for David. His talent is exceptional, and he will be greatly missed, said Robert Parker. It's never easy replacing any of our writers, but we believe Stephan is a great addition to the team as a native and recognized authority on German wine. David is one of the authorities for German (but not only German) wine in the English-speaking wine world. 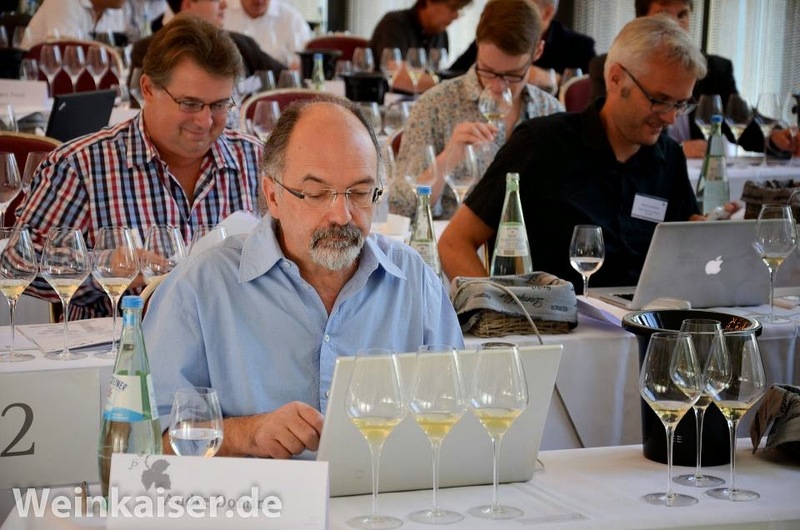 He is a legend in German wine circles in the US. I go back with David for many years. When I moved to the US in the early 1980s, David was a retailer in Washington DC. I remember long discussions (in German) with him at Pearson’s on Wisconsin Street, when he worked there. 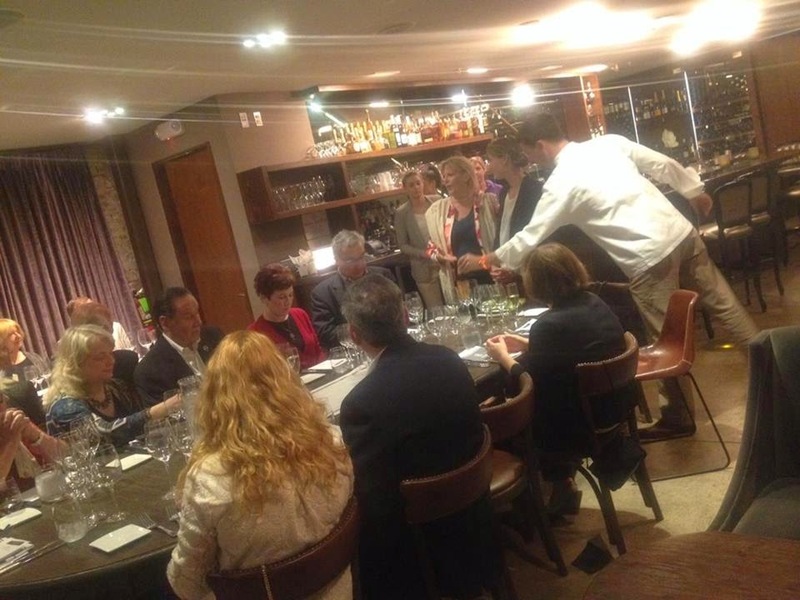 He was also a frequent guest at the German Wine Society (Washington DC Chapter). He now lives in Cincinetti. Born, raised and based in Germany, Stephan Reinhardt has established himself as a leading wine journalist in Germany. But he has also gained recognition beyond the borders of the German-speaking part of Europe. Most recently, his book The Finest Wines of Germany was shortlisted as Best International Wine Book of Year by the Louis Roederer International Wine Writers' Award. Stephan Reinhardt was editor-in-chief of Vinum, a 10-issue magazine distributed in Switzerland, Germany and Austria, and of Weinwisser, a Swiss/German wine newsletter. He has written stories for a number of publications, including The World of Fine Wine; a handful of German daily newspapers; and lifestyle magazines including Der Feinschmecker, Falstaff and Fine -- das Weinmagazin. Stephan Reinhardt is passionate about Riesling, Port and Pinot Noir, loves music (especially jazz), travel and soccer (especially the Cologne soccer club). He studied drama (Theaterwissenschaft), communication (Kommunikationswissenschaft) and psychologie (Psychologie) at Munich University and worked as a junior professor (Assistant) at the Institut für Theaterwissenschaft in Munich from 1997 to 2000. He lives with his family near Hamburg, Germany. I am excited to be writing for one of the greatest wine journals in the world, said Stephan Reinhardt. I have the deepest respect for Robert Parker and the Wine Advocate and am thrilled to be joining his esteemed team of world-renowned reviewers. Looking at David’s and Stephan’s background, I would not be surprised if the coverage of German wine by the Wine Advocate will change with David leaving and Stephan coming on board. David is very much grounded in the traditional American perspective of German wine. The American taste is leaning towards the fruity-sweet style wines of German white wine. For the American taste, the Mosel Region, with its fruity-sweet Kabinett and Spaetlese wines, is at the heart of German wine. German dry wines are only now gaining interest in the American market. Similarly, although red wine accounts for 1/3 of the German wine production, they are hard to find in the American market. Stephan comes from different angle. He has lived all his live in Germany. He is very well integrated with the wine scene in Germany - producers, retailers, sommeliers and cunsumers. He is also a bit younger than David and pretty active on facebook. There, in the German discussion groups, or more generally: among wine lovers in Germany, the talk is about premium and ultra-premium German dry wines and the new generation of German premium and ultra-premium red wines. People do talk about fruity sweet Kabinett and Spaetlese wines, but interest for these wines is clearly limited in Germany. Stephan is part of the new wave of German premium dry white and premium red wines. A few days ago, with the new job, Stephan Reinhardt supplemented his friend facebook page with a fan facebook page and called the new page: Stephan Reinhardt trocken. Here is the current team. Stephan Reinhard: Germany, Austria and Switzerland, as well as Alsace, Champagne and the Loire Valley. 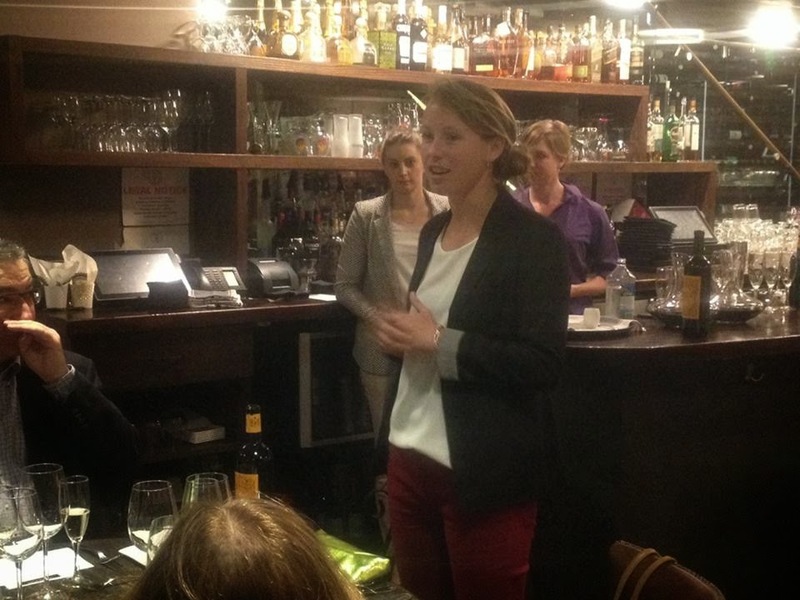 Château LAFON-ROCHET’s winemaker Anaïs Maillet was in town (Washington DC) because of the Heart’s Delight events and owner Basile Tesseron asked Annette Schiller (ombiasy PR and WineTours) to organize a winemaker dinner. Château LAFON-ROCHET is a 4ième Grand Cru Classé en 1855 in the Saint-Estèphe appellation. 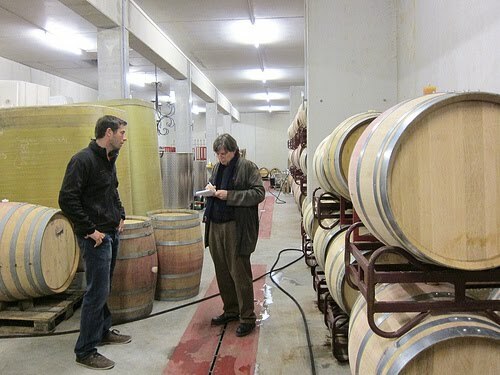 The visits of Château LAFON-ROCHET were highlights of the recent Bordeaux tours by ombiasy PR and WineTours. Annette picked Bart Vandaele’s new restaurant on 14th Street, B Too, for the dinner. It turned out to be a great choice. 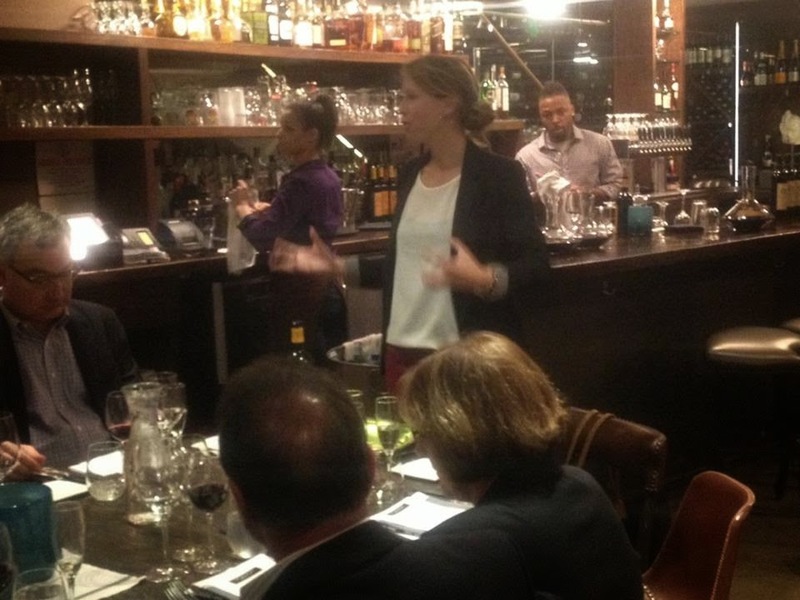 With about 50 wine lovers attending, it was a sold-out event. The food was extraordinary: very creative and matching the gorgeous LAFON-ROCHET wines beautifully. Anaïs and Bart were the perfect hosts: Anaïs talked about LAFON-ROCHET and commented on each wine. She walked from table to table to meet everybody and to address questions that came up during the tasting. Bart made sure that the evening proceeded with clockwork precision. 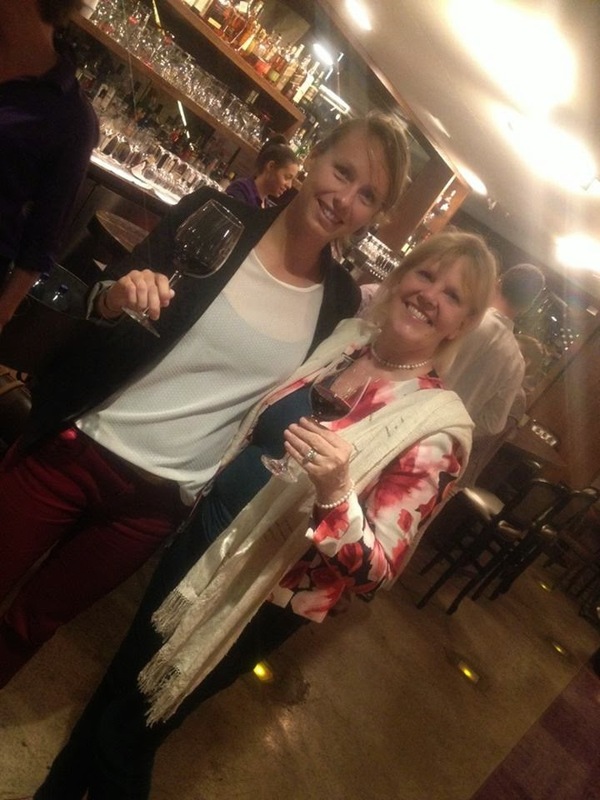 Annette was thrilled and honored to see eight out of the ten participants of last year’s Bordeaux tour at the dinner. 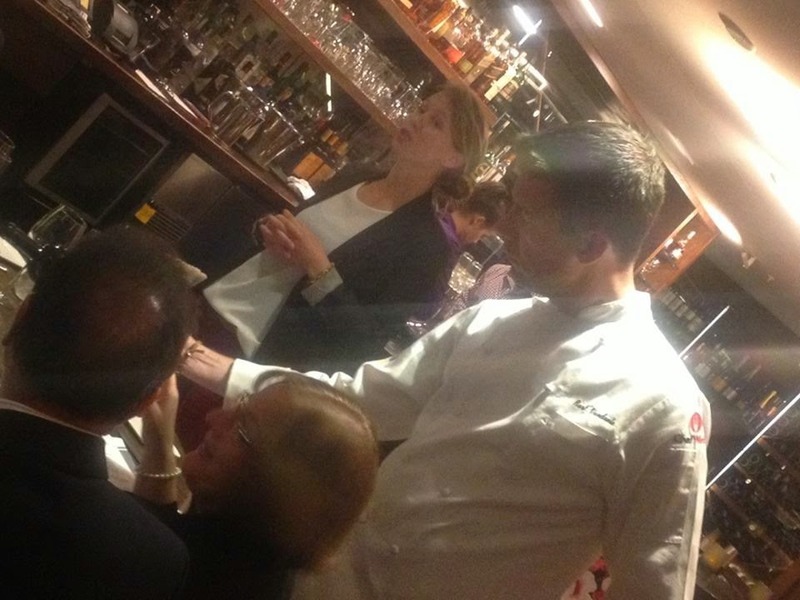 Some even travelled long distance for this dinner to indulge in the memories of last September’s visit at LAFON-ROCHET and to reunite with their fellow Bordeaux wine lovers. The boisterousness at their table definitely added to the animated ambiance of the evening. Unfortunately I was out of the country and therefore not able to attend the dinner, but my friend Charlie Adler, TasteDC: Upcoming Food and Wine Events in DC, was so kind to take pictures. Annette also took some pictures. Thanks Bart and your team for a great event. German Wine Journalist and Blogger Mario Scheuermann released a most interesting list of the most expensive German dry white and red wines. Of course, the German noble-sweet Rieslings (from Egon Mueller, JJ Pruem, just to name the two most famous producers) are expensive, sought after in the whole world. But these wines were excluded in Mario Scheuermann’s exercise: he confined himself to those categories – ultra-premium dry white and red – that are not yet on the radar of the wine lovers in the world, but nevertheless have seen a tremendous upswing in the past decades. Mario Scheuermann grouped the wines into what he called the Grands Crus and the Premiers Crus categories. His starting point was Euro 28, which is according to the VDP – the association of about 200 elite winemakers in Germany - the current average price for Grosses Gewaechs (ultra-premium dry white and red) wines (presumably ex winery). Currently, there are more than 500 wines, which carry the label Grosses Gewaechs. Moving on from this price point, he grouped all wines in the Euro 50 to 100 as Premier Cru wines and those above Euro 100 as Grand Cru wines. The prices are basically ex-winery prices, if I understand Mario Scheuermann correctly. The current US$/Euro exchange rate is Euro 1 = US§ 1.38. Overall, a bit more than 50 wines show up on the list, i.e. cost more than Euro 50. Mario Scheuermann noted that quite a number of wines are offered just below Euro 50, so they did not make it into the ranking. If you cut off the list at say Euro 40, the list would be considerably longer. Interestingly, the red wine list is much longer than the dry white wine list. The former is comprised of 42 items, while the latter contains only 14 items. But as far as white wines are concerned there are all these expensive noble-sweet wines, which were excluded from the exercise. Still, the dominance of red wines is amazing on this list. Probably coming as a surprise to many readers, Baden is the top performer, a wine region that outside of Germany is barely known as a wine producing region. The Mosel Region, well known over the world, is only represented with one producer (Weingut Markus Molitor). This of course, reflects the fact that the Mosel Valley is not a red wine producer, and when it comes to premium white Mosel wine, the fruity-sweet and noble-sweet styles dominate. Norbert and Renate Bardong own and run a small Sekt House in Geisenheim, in the Rheingau in Germany. They came over to Frankfurt – a 45 minutes drive by car - to present their Sekt House and their Sekt portfolio to the Frankfurt Slow Food Group. We tasted 6 different Sekts: 3 of them were Bardong Sekts from their portfolio and 3 of them were Sekts, not on sale: The same base Sekt with different dosages, to introduce us to the skill of fine-tuning a Sekt with the right level of dosage. Germany is one of the largest sparkling wine markets in the world. One out of four bottles of sparkling wine is consumed in Germany. Sparkling wine produced in Germany is called Sekt. 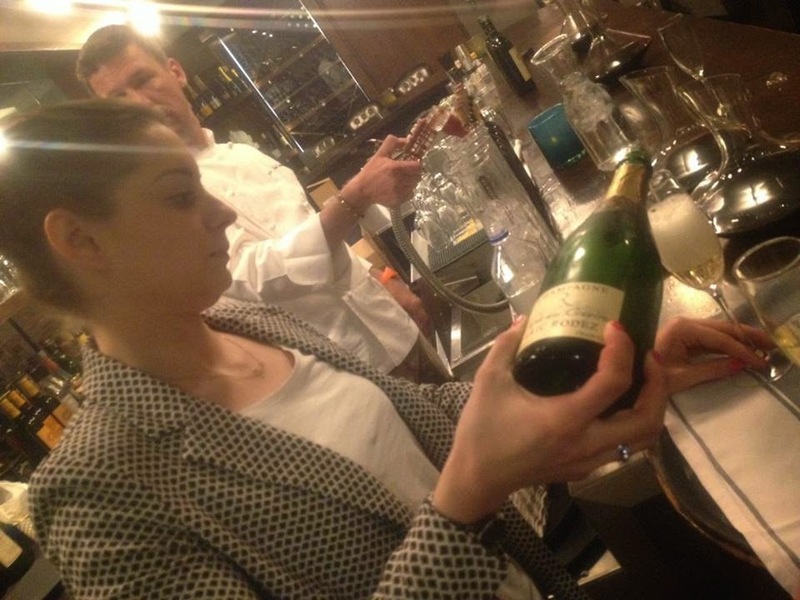 Sekt is made in all German wine regions, both in the méthode traditionnelle and charmat method. There are three groups of Sekt makers: (i) large and (ii) smaller Sekt Houses that only make Sekt and (iii) wine makers, who make predominantly wine, but complement their wine selection by a few Sekts. The Sekts produced by large Sekt Houses tend to be in the demy-sweet and sweet range, while the Sekts of smaller estates and the wine makers are mostly in the brut and extra brut range. The Bardong Sekts are mostly brut, with some being extra brut. There is a dozen or so large Sekt Houses in Germany, most of them established in the 1800s at the same time as the French Champagne Houses. At that time, there was only one method known to produce Sekt, the méthode traditionnelle. But in contrast to the Champagne Houses, the large German Sekt Houses all moved to the charmat method (in a tank) as main method of the second fermentation after World War II. Like the Champagne Houses, Sekt Houses do not own vineyards, but purchase the base wine from wine makers. More than three quarters of the base wine used to make Sekt is imported from other EU countries, essentially Italy, France and Spain. Sekt can only be labeled as Deutscher Sekt if it is made exclusively from German grapes, which is rare in the case of the large and the smaller Sekt Houses. Most of the Sekt Houses have beautiful chateau-type facilities with old underground cellars for the second fermentation and storage. Overall, these Sekts are reasonably priced, are of good quality, but with the introduction of the charmat method are no longer in the same class as their counterparts in the champagne region. Like the large Sekt Houses, the smaller Sekt Houses – and Sektkellerei Bardong belongs to this group - do not own vineyards, but also buy the base wine from wine makers. They also tend to have a long history and often links to the champagne region, beautiful facilities and old cellars for the second fermentation and storage. The big difference is that they typically have not gone the route of tank fermentation but continue to ferment in the méthode traditionnelle. Finally, there is a number of top quality winemakers, who, in addition, to their still wines, have started to include Sekts in their portfolio. These Sekts are typically vintage Sekts, from a specified vineyard, made of specific grapes, often Riesling, in the méthode champenoise and with little dosage (brut or extra but). While the first fermentation typically takes place at the winery, the second fermentation is often not in the cellar of the wine maker but in the cellar of a Sekt House that bottle-ferments for other wineries. Norbert Bardong started his Sekt House that way and still makes Sekt for wine makers, but has over time established his own portfolio of Sekts. Currently, about half of his production is accounted for by Sekt made for winemakers and half for the Bardong portfolio. Norbert Bardong: We do not produce any cuvées, we only make lieu-dit and vintage sparkling wines. The base wines are high-quality Kabinett wines whose fine aromas are to be found in Bardong sparkling wines. Sektkellerei Bardong was founded by Norbert Bardong in the vaults of the former sparkling wine cellars of Schloss Rheinberg and Schloss Waldeck in Geisenheim in 1984. Norbert Bardong discovered his love of sparkling wine after studying Beverage Technology at the renowned wine university in Geisenheim and completing various internships, including one in the Champagne Region. It did not take him long to reach the decision to refine the wines of his Rheingau home district by himself to produce sparkling wines using the traditional method of classic bottle fermentation. All of the sparkling wines of Sektkellerei Bardong are produced by hand using this method in order to guarantee their high quality. The base wines for these sparkling wines are Kabinett wines. There are no cuvees at Bardong, only sparkling wines made from one grape variety, from one single vineyard and from one vintage. For the second fermentation, Norbert Bardong explained that he adds 26 gr of sugar. This produces a pressure of 6 bar (compared with 2 bar in a car tire). All his sparkling wines mature on the yeast for at least 36 months – just like vintage champagne – and some for even up to 20 years, which helps them to develop their very special fine bubbles, delicious lightness and wonderful mellowness. The legal minimum requirement is 9 months. Annual production is 100000 bottles. Riesling grapes account for 75 % and Pinot Noir grapes for 15 %. Norbert and Renate Bardong poured 6 different Sekts: 3 of them were Bardong Sekts from their portfolio and 3 of them were Sekts, not on sale: The same base Sekt with different dosages, to introduce us to the skill of fine-tuning a Sekt with the right level of dosage. The favorite of the group was the one with the lowest dosage. Interestingly, the least liked Sekt was the one in the middle. Last year, at one of the larger wine tastings in Germany, Gunter Kuenstler, Weingut Franz Kuenstler in Hochheim, Rheingau, told me that he was in the process of changing his American importer. He had already terminated the contract and was looking for a new importer. We talked a bit about his motives and options. This year, at the Weinboerse in Mainz, Gunter told me that he had decided to join the portfolio of Terry Theise. Terry Theise is one of the leading importers, if not the leading importer of German wine in America. He has a large portfolio, comprising 40 German winemakers or so, including Doennhoff, Kruger-Rumpf, Diel, Selbach-Oster, Mueller-Catoir, Von Winning, to name a few. Among the vast number of his followers, he has gained something like a cult status. He publishes a thick catalogue once a year with extensive comments. In addition to the compendium of exciting wine reviews, the Terry Theise’s annual catalogue is a very good introduction to German wine, both to the basics and to the current trends and issues. A few comments on the German Portfolio of Terry Theise: First, there are no red wines, although they now account for 1/3 of the German wine output. Terry is clearly focusing on Germany’s white wines. Second, nor have I seen a category for sparkling wines; for sparklers, you have to go to his excellent portfolio of Champagnes, including many grower Champagnes. Third, Terry is known for having a preference for sweet-style wines, as far as German white wines are concerned, although his portfolio also includes dry wines. Remember, Terry also imports Austrian white wines and they are all dry. Fourth, his portfolio does not include any noble-sweet wines (Beerenauslese, Trockenbeerenauslese, Eiswein). Weingut Franz Kuenstler is one of Germany’s world class wine producers. It has 5 F’s (out of 5) in the Feinschmecker WeinGuide ranking. The Wine Estate is currently run by Gunter Kuenstler, who took over from his father Franz a number of years ago. Basically, until the late 1980s Franz was in charge and from the early 1990s on, the Kuenstler wines were made by Gunter. Before founding his own winery in 1965, Franz Kuenstler worked for other wineries in Hochheim for 15 years. The wine growing tradition of the Künstler family can be traced back to Southern Moravia in 1648. After the Second World War, the Künstlers had to leave their home in what is now the Czech Republic and the head of the family, Franz Künstler, laid the foundations in Hochheim for what was to become one of the most successful family businesses in the Rheingau. I remember very well the small row house in Hochheim that was the initial home of the Kuenstler winery. And I remember very well the wonderful tastings we had at the Kuenstler estate. All my life I have been buying Kuenstler wines and there is quite a number of Kuenstler bottles in my wine cellar in McLean, Virginia. Gunter Künstler bought the Geheimrat Aschrott'sche Erben wine estate in Hochheim in 1996 and in doing so acquired a major share in the very best vineyard locations in Hochheim (12 hectares). A few years ago, as another giant leap, the Kuenstler estate moved into the former Burgeff Sektkellerei, just at the entrance of Hochheim, when you come from Mainz. It is very impressive. 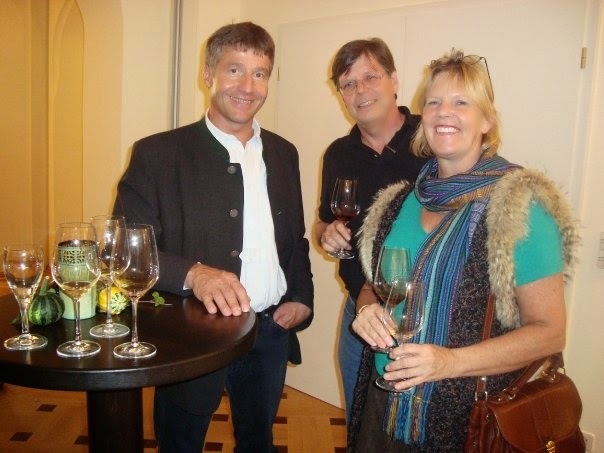 Most recently, Gunter Kuenstler started a cooperation with a winemaker in Ruedesheim and began to offer wines from vineyards in Ruedesheim. This cooperation, however, is coming to an end. In the future, you will not see any wines from Ruedesheim in the Kuenstler portfolio. The vineyard area totals 37 hectares in the Domdechaney, Herrnberg, Hölle, Kirchenstück, Reichestal, Stein and Stielweg (Hochheim) as well as Weiß Erd (Kostheim), excluding vineyards in Ruedesheim. Riesling accounts for the bulk of it (29 hectares) but there is also Spätburgunder, Chardonnay and Sauvignon Blanc. A panel of 29 sommeliers, retailers and wine writers selected its 2014 top 20 winemakers from South Africa. You find the list below, following some introductory remarks about the wine producer South Africa. I have traveled in South Africa many times in the past 3 decades, in particular during the period 1989 to 1992, when I used to live in Madagascar. Here is the list, published in the Mail and Guardian on April 23, 2014, with the comments of the Mail and Guardian. 1. Sadie Family Wines. Eben Sadie, an emblematic figure of the Cape's wine revolution, has been making his red Columella and white Palladius blends since the early years of the century. Local and international acclaim brought fame to the whole Swartland area, initiating its great renaissance. Then came Sadie's widely-inspiring Old Vineyard Series, confirming his vision, insight and energy. 3. Kanonkop, in Stellenbosch, is the longest-established winery in the Top 5 - and the only winery to have been there every time since the first poll in 2001. No other producer in the list has such an impressive track record of great wines ?– especially the Paul Sauer blend, made since 1981, but also Pinotage and Cabernet Sauvignon. 5. Chamonix started revealing the vinous potential of its Franschhoek mountainside soils after Gottfried Mocke arrived in 2001 to look after vineyards and cellars with his flair and insight. Chardonnay and Sauvignon Blanc have always done well here; now a handful of reds, especially Pinot Noir, join them amongst the country's best – and there's not a dud in sight. 9. Hamilton Russell Vineyards, pioneer of winemaking in the Hemel-en-Aarde Valley, is still famous for its Pinot Noir and Chardonnay – the latter widely regarded as the country's finest. Rensburg continuing to produce a range of red and white wines to match. 11. Tokara, high on the Helshoogte Pass just outside Stellenbosch, makes superb, elegant wines from there (as well as Agulhas and Elgin) under Miles Mossop's deft direction. 12. Thelema is Tokara's neighbour but longer established (since 1983), with cellar master Gyles Webb amongst the pioneers of modern winemaking in the Cape. 14. Cederberg is the highest new entry, as its mountainous vineyards are among the Cape's loftiest, though David Nieuwoudt also makes a fine range from vineyards near Cape Agulhas. 16. AA Badenhorst Family becomes the third Swartland winery in the Top 20, marking the great success of Adi Badenhorst's mighty labours on the run-down farm the family acquired in 2006. 19. Reyneke, one of few biodynamic wineries in the Cape, has its organic Stellenbosch vineyards cared for by "vine-hugger" Johan Reyneke, and its elegant wines crafted by the brilliant Rudiger Gretschel. 20. De Trafford returns after a brief absence, with David Trafford's big, ripe but well-balanced Stellenbosch wines as commanding as ever. Sommeliers: Hansi Joakim Blackadder, Gareth Ferreira, Neil Grant, Higgo Jacobs, James Pietersen, Joerg Pfuetzner, Francois Rautenbach. Retailers: Carrie Adams, Carolyn Barton, Mark Norrish, Roland Peens, Caroline Rillema. Local writers and critics: Michael Crossley, Christian Eedes, Michael Fridjhon, Edo Heyns, Tim James, Angela Lloyd, Melvyn Minnaar, Cathy Marston, Maggie Mostert, Ingrid Motteux, Christine Rudman, Cathy van Zyl. International writers and critics: Tim Atkin, Tom Cannavan, Jamie Goode, Neal Martin, Anthony Rose.